Experience the Ultimate off-road tour with Outriders Northwest on the Sunriver ATV Adventure! Explore the incredible volcanic landscapes, breathtaking views, and regional wildlife that only Central Oregon has to offer. 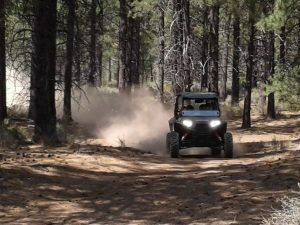 The Sunriver ATV Adventure takes you through the amazing formations of the Newberry National Monument. See ancient lava flows and volcanic formations throughout your tour. Join Outriders Northwest for the Ultimate Adventure Experience in Sunriver and create those fun and exciting memories that will be the highlights of your travels. This is a great way to enjoy an off-road experience that will not demand a full day commitment from your group.